In this hour, it's the life and music of the great Billie Holiday. We’ll talk with biographer Robert O’Meally about Lady Day’s musical genius and travel the hard road she took on her way to becoming one of jazz’s most beloved voices. And we’ll chat with Jazz at Lincoln Center curator Phil Schaap about the great Louis Armstrong’s role in shaping her musical voice, and talk with the best-selling author who’s channeled Billie Holiday to create a brand new version of her autobiography for young people. Programming Note: This is Episode 8 of 13 in Season One of The New Jazz Archive. Middle Eastern Melodies Most Americans are only superficially acquainted with Middle Eastern music, as presented in movie soundtracks. However, music from the Arabic speaking countries is very diverse and is integral to the spiritual life of the people who listen to it. Anne Rasmussen (The College of William and Mary) leads an ensemble of music students who perform Middle Eastern melodies. On this show, she plays traditional instruments like the "Ud" (an 11-stringed lute) and the "Riqq" (a percussion instrument). Also: Craig Naylor (University of Mary Washington) conducts musical concerts by contemporary Native American composers and is himself a composer who is influenced by this country?s Native culture. "As volcanic was the man’s painful life and descent into deafness, so his musical production was miraculously steady, virtually flawless, endlessly various in form and surface, scale, sonority and feelings — furious, lyrical, melting, often humorous, on the way to a “God sound” in the unearthly late work. Improvisation and variations at the piano were the twin engines of his imagination, on an instrument whose sound he kept reinventing. Those sonatas, variations and bagatelles for piano alone, most of them conceived as private statements, unperformed in public in Beethoven’s time, were the springboard of the giant symphonic spectacles with orchestra. And those same piano pieces can be taken today – fresh thrills and chills on every hearing – as Beethoven’s short stories. Much as Henry James’s stories record the self-study of a great novelist, Beethoven’s piano pieces give us a journal of his inner life, a view into his laboratory and maybe his soul." 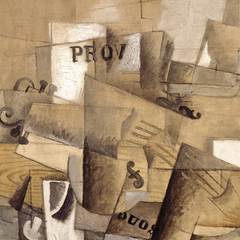 How did composers react to the violence of The First World War? We're listening to musicians who defined a modern era. We've discovered some old gems in our radio archives and sprinkled them through a conversation with John Updike's biographer, Adam Begley, for our show this week. 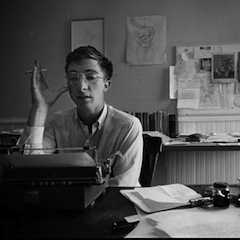 Begley talks about Updike's Pennsylvania boyhood, his wives and lovers north of Boston, his children, his spiritual life, his voracious reading, his travels — and how he created the most graceful prose of our time by cannibalizing all of it for his art. Here’s how to read David Foster Wallace’s thousand-page door stop and masterpiece Infinite Jest: it’s a Boston novel the way Ulysses is a Dublin novel, as Les Miserables is a Paris novel. 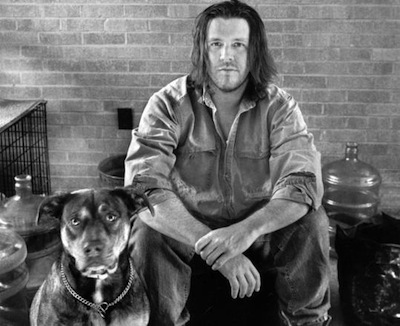 Here’s how to read David Foster Wallace’s thousand-page door stop and masterpieceInfinite Jest: it’s a Boston novel the way Ulysses is a Dublin novel, as Les Miserables is a Paris novel. Infinite Jest is a novel about Wallace’s alcohol addiction and recovery on a route through Boston we all walk and drive and manage not to see into: the “clot and snarl of Prospect St in Cambridge,” those “Live” and “Fresh Killed” poultry signs in Inman Square, the clang and squeak of the B-Line trolleys along Comm Ave, Brighton past the halfway houses on the hill for catatonics and drunks where Wallace’s life turned around. Maybe it helps to read Infinite Jest as a tour map of one man’s battlefield. Re-enactments every day. We’re talking a walk through DFW’s Infinite Boston this hour. 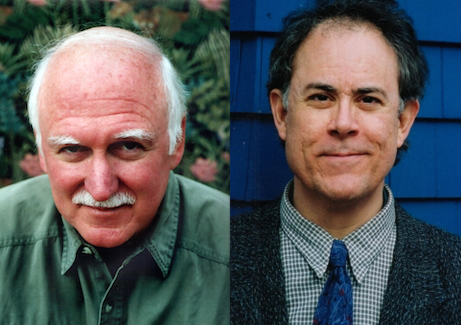 Our guests include Bill Lattanzi, poet, playwright, and the original Infinite Boston tour guide; D.T. Max, staff writer at The New Yorker and author of the acclaimed Wallace biography, Every Love Story is a Ghost Story; Sven Birkerts, the writer, critic, andeditor who was a friend of Wallace’s; and Deb Larson-Venable, executive director ofGranada House, where Wallace began his road to recovery, and the extraordinary inspiration for the extraordinary Pat Montesian, a character in the novel. Noir heroes tend not to be gangsters of Whitey Bulger’s grandeur; not tough cops either: they’re punched-out boxers and junkies, little perps, prisoners, victims reduced to victimizing each other and themselves. It’s bad things happening to bad guys, giving and getting the punishment they think they deserve. Boston noir is an art of darkness, under an overcast sky and fishy salt-air smell of the waterfront. It’s now a sort of signature of our city, in novels that became movies, like The Town, The Departed, and The Fighter. Dennis Lehane, who wrote Mystic River, says noir is working-class tragedy — different from other kinds. “In Shakespeare,” Lehane puts it, “tragic heroes fall from mountaintops; in noir, they fall from curbs.” Noir heroes tend not to be gangsters of Whitey Bulger’s grandeur; not tough cops either: they’re punched-out boxers and junkies, little perps, prisoners, victims reduced to victimizing each other and themselves. Noir is the bottom of underground capitalism, talking to itself. It’s bad things happening to bad guys, giving and getting the punishment they think they deserve. Anna Mundow, author of the “Crime and Punishment” column in the Barnes and Noble Review, contributor to The Boston Globe and longtime correspondent for The Irish Times. Francisco Nunez began the Youth Chorus of New York to together youth of all backgrounds. Together they create beautiful music and an inclusive community. Francisco Nunez is one of those forces of nature...a musician, composer, conductor, music educator and a 2011 MacArthur Fellow. A musical prodigy who composed his first choral work at the age of fifteen, Francisco graduated from NYU with a degree in piano study and went to work at the Children's Aid Society. Within a year, he began the Young People's Chorus of New York... an organization that provides children of all ethnic, religious, and economic backgrounds with a program of music education and choral performance. Francisco's aim is to harnesses the power of music to fulfill the potential of every child. The result has been phenomenal--an internationally recognized chorus that is renowned for its artistic excellence, virtuosity and its cross-cultural performances that build understanding and bridges both within this nation and with other cultures of the world. In fact, in 2011 YPC was presented with nation’s highest award for youth programs—a National Arts and Humanities Youth Program Award. The great American artist talks about his lifelong fascination with color and form. Ellsworth Kelly is one of the most celebrated and widely influential artist of the second half of the twentieth century. he rose to acclaim in the 1950s with his bright multi colored and mono chromatic multipanel works. His work explores the dynamic relationship among color, structure, and surroundings. The wall itself becomes the canvass for the art. he was one of the first artists to use irregularly shaped canvasses... this along with his layered reliefs, sculptures, and drawings consistently challenges the viewers conception of space. 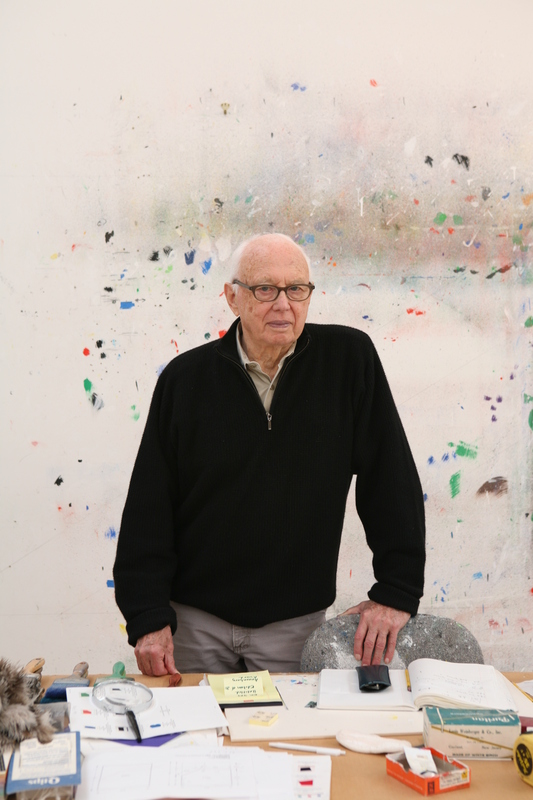 When he received the National medal of Arts from president obama, ellsworth Kelly's citation read, in part: A careful observer of form, color, and the natural world, Mr. Kelly has shaped more than half a century of abstraction and remains a vital influence in American art. It's a tuneful podcast as we go to the heart of Irish music with 2013 National Heritage Fellow Seamus Connolly. Seamus Connolly is a teacher, scholar, and, as you heard, a remarkable irish fiddler. By his mid-twenties, Connolly had won the Irish National Fiddle Championship ten times, a feat that is still unequalled. Since emigrating to the United States in the 1970s, Seamus has performed at numerous festivals throughout the country, including the National Folk Festival, Smithsonian Folklife Festival, and with three of phenomenonally successful Masters of the Folk Violin tours organized by the National Council for the Traditional Arts. Connolly's recordings including his two solo CDs, Notes from my Mind and Here and There, as well as The Boston Edge with 2004 NEA National Heritage Fellow Joe Derrane and John McGann. Since 2004, Connolly has been the Sullivan Artist in Residence at Boston College's Center for Irish Programs where he had previously directed the highly acclaimed Gaelic Roots Summer School and Festival. Not surprisingly he is the recipient of many awards--and , he's added a national heritage fellowship--which is a lifetime honor presented to master folk and traditional artists by the national endowment for the arts. I traveled to Maine to visit with Seamus when he was awarded the heritage fellowship. I began by asking Seamus to explain what makes Irish fiddling, Irish Fiddling? With a trunk full of her mother’s saris, Kenyan author and performer Shaija Patel reclaims a lost history. With Migritude, Shaila Patel has created a 90 minute spoken-word tour de force. Migritude explores themes of heritage, war, liberation and, of course, migration. Shailja Patel was born and raised in Kenya in a family of Indian descent. Her trousseau of saris, passed down by her mother, becomes the means by which she unfolds the hidden histories of women's lives from India to East Africa-- the same journey her grandparents took when both regions were under colonial rule. In Migritude, she weaves together memoir, political history, and astute observations about the capriciousness of migration, creating an award-winning theater piece that has resonated with people on three continents. In fact, it was so successful as a spoken word performance piece that Shailja Patel reworked Migritude into a book of poetry. We all know where women in jazz belong: behind the piano or the microphone...at least that's the popular stereotype. But that's changing, and one of the reasons why is drummer Sherrie Maricle. She wanted to play drums and she wanted to play jazz, and so she did...in spite of many challenges along the way. I'll take a deep breath and try to give you a sense of the scope of her career: here's a few of the jazz greats she's played with Slam Stewart, Johnny Mandel, Clark Terry and Dizzy Gillespie. She's a composer and arranger in both jazz and classical music. She has a Ph.D in Jazz composition and performance. Since 1992, she's led her own the all-woman big band, the internationally renowned Diva, as well as the quintent FivePlay and the Diva Jazz Trio. She's a percussionist for the New York Pops and the New Jersey Symphony. And to no one's surprise, she received a Lifetime Achievement Award at the 2009 Mary Lou Williams Festival. Sherrie Maricle and the Diva orchestra were in Washington DC recently performing at Arena Stage with the show, Maurice Hines is Tapping Thru Life. Sherrie Maricle and Maurice Hines are old friends, having collaborated frequently since 1990. As usual, Maricle was wearing many hats--musical director, conductor, and drummer; but, she also found time to talk to me. I caught up with Sherrie Maricle one evening at the Arena Stage before the show. I wanted to begin with the business at hand: her work with Maurice Hines in Tappin' Thru Life. Hot off his Academy Award win for "Twenty Feet from Stardom," Morgan Neville reflects on the singers, the film, and the ride they have shared. They are the singers in the background--only "Twenty Feet from Stardom." In his Academy Award winning film, director Morgan Neville shows us how far that walk to the front of the stage can be. "Twenty Feet from Stardom" is Morgan Neville's chronicle of rock and roll's back-up singers from the 1950s to the present. Darlene Love, Judith Hill, Merry Clayton, Lisa Fischer are just a few of the film's astounding singers that few of know by name, but they have graced the recordings and shared the stage with some of rock's icons like Sting, Mick Jagger, and Stevie Wonder-- all of whom appear in the Twenty Feet from Stardom to share their insights about the voices that back them. Given his previous films like "Pearl Jam Twenty" and "Johnny Cash's America", It makes sense that director Morgan Neville would be intrigued by backup singers and see the compelling story they had to tell. Neville has spent his career creating an award-winning documentary films about cultural figures and subjects with a frequent focus on music. But it was twenty Feet from stardom that earned Morgan Neville his first academy award. Morgan Neville. 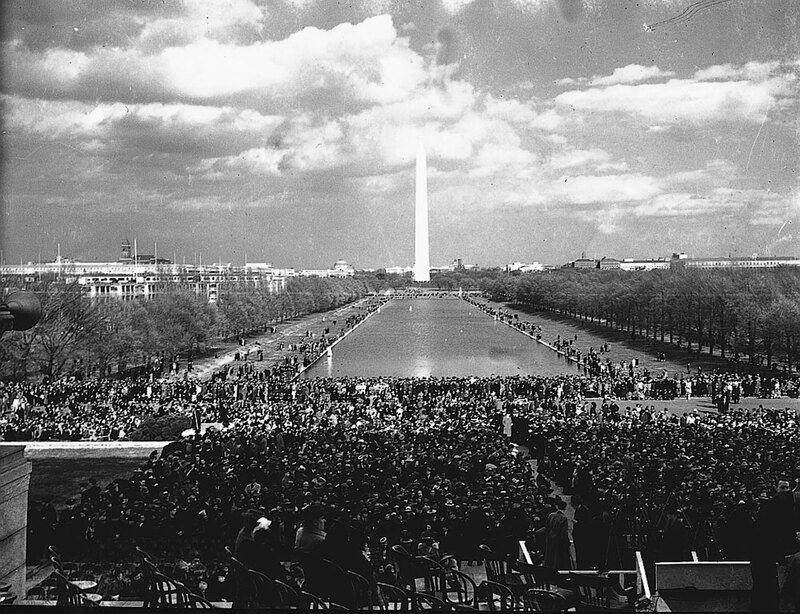 This Memorial Day weekend, the National Endowment for the Arts is celebrating the launch of the fifth season of Blue Star Museums. Blue Star Museums is a collaboration among the National Endowment for the Arts, the Department of Defense, Blue Star Families, a national network of military families, and more than 2,000 museums across America that offer free admission to the nation’s service members and their families from Memorial Day through Labor Day. We end with Lynn Hill, she was in the Air Force where she operated predator drones. When her tour of duty ended, she became a key poet/performer in Holding It Down," Vijay Iyer's and Mike Ladd's extraordinary performance piece about the dreams of veterans who have served in Iraq and Afghanistan. Lynn recites her poem, "Dreams in Color" and shares her thoughts about Holding It Down’s attempts to portray the challenges of service members when the uniform comes off. 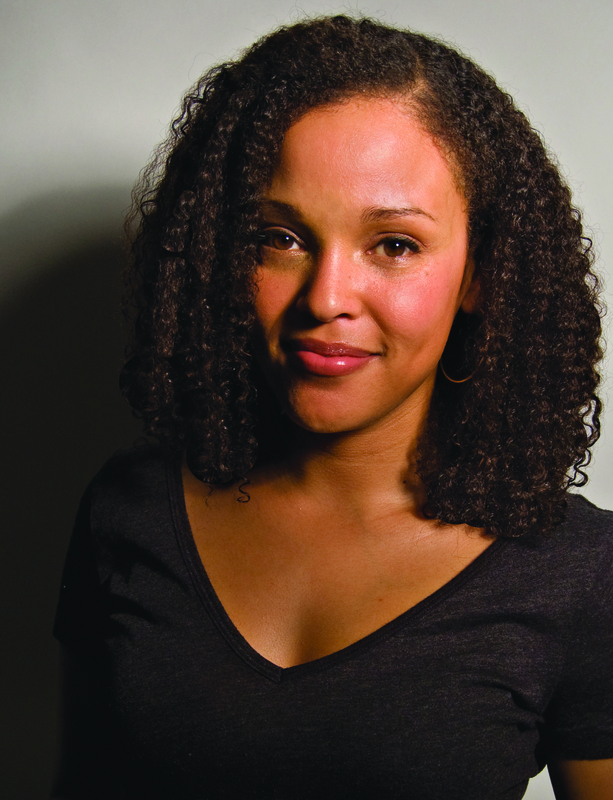 Jesmyn Ward has made the Mississippi Gulf Coast and its bayous and rural communities her literary terrain where her two novels Where the Line Bleeds and the 2011 National Book Award winner Salvage the Bones are set. Both gave texture and voice to poor rural black Mississippians struggling against the brutality of racism and poverty. Jesmyn Ward takes up this exploration again in her third book--but perhaps with more stake --it's a memoir called Men We Reap. Men We Reap is Jesmyn's attempt to understand the deaths between 2000 and 2004 of five young men close to her, especially her beloved younger brother Joshua. Interwoven with chapters about each young man is Jesmyn's own story--her growing up and coming of age as her family moved from their own house to their in-laws to a trailer--her parents' marriage collapsing; the family in poverty. Once again, Jesmyn Ward uses her formidable literary skill to force us to confront the lives and the hearts of people who get trapped by circumstances and at times by their own bad choices. The archival voice of Merce himself defining the art of dance! Radiohead! Need we say more. Okay, a little more. In this podcast, you'll also hear from three important figures in the modern dance world: choreographer Elizabeth Streb, critic Suzanne Carrbonneau, and current Executive Director of Merce Cunningham Dance Company, Trevor Carlson. Merce Cunningham: The dance is an art is space and time. The object of the dancer is to obliterate that. The fortunate thing in dancing is that space and time cannot be disconnected and everyone can see and understand that. A body still is taking up just as much space in time as a body moving. The result is that neither the one nor the other moving or being still is more or less important except it’s nice to see a dancer moving. Lynn Hill participated in "Holding It Down," Vijay Iyer's and Mike Ladd's extraordinary performance piece about the dreams of veterans of color who have served in Iraq and Afghanistan. Based on actual conversations with veterans, "Holding It Down" is an often discordant, but always gripping mixture of poetry, music, video monologues by veterans, and visual images reflecting the hallucinatory nature of both dreams and war. Two poet veterans are key performers in "Holding It Down:" Maurice DeCaul and Lynn Hunt. Lynn Hunt’s passionate reading and charismatic presence underscored her unexpected story: her experience operating predator drones, firing missiles into Iraq remotely from a central station in Las Vegas, and the subsequent conflicts this duty caused within her. One of America's most beloved stars spills some backstage secrets while discussing career highlights. Arguably most famous for her role as Melanie Wilkes in the film Gone With the Wind, Olivia de Havilland was given a 2008 National Medal of the Arts for her extraordinary body of work. Winner of two Academy Awards for best actress, Olivia de Havilland is quite simply a Hollywood legend, and at the age of 93 she's also one of the few who remembers first hand Hollywood's golden age. A natural beauty with refined elegance, de Havilland was an accomplished actress who wasn't afraid to tackle roles that would make her look unattractive, from a woman struggling with insanity in the Snake Pit to a plain unassuming girl in The Heiress, for which she won an Academy Award. In 2008, de Havilland was presented with The National Medal of Arts, the highest honor bestowed on an artist by the Federal Government. Mayor of Denver since 2003, Hickenlooper is an unstinting supportor of the arts, eager to demonstrate that it’s culture that makes a city vibrant. “Culture first, commerce follows” is his oft-quoted mantra and he knows this from the business side. He was a successful entrepreneur who established the first brewpub in the Rocky Mountains which eventually grew to seven restaurants in the Denver area. In the process of building his restaurants, he became involved with numerous downtown Denver renovation and development projects and is credited as one of the pioneers that helped revitalize Denver’s Lower Downtown historic district. If you've read The Savage Detectives or 2666 in English, then you know the debt of gratitude that you owe Natasha Wimmer. 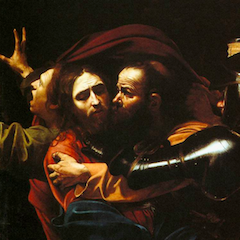 The translation was a monumental task of monumental work. 2666, for example, clocks in at close to 900 pages. Bolano's characters range from an African-American journalist who's an ex-Black Panther, to a Mexican woman who is psychic, from street thugs to literary critics. And his language is equally broad from Mexican slang to flowery poetic musings. In an early part of 2666, one sentence runs for four and half pages without a full-stop. But Natasha Wimmer more than rose to the challenge; although how she pulled off the translation with such fluidity and grace is nothing short of amazing, and it brings up the whole intriguing question of translation, of the intellectual acrobatics needed to move literature successfully from one language into another. A world without Mary Poppins? No way. The two-time Oscar winner and 2008 National Medal winner lets us in on how great show tunes get written. Richard Sherman is half of the tireless songwriting team, the Sherman Brothers, and he's a walking, talking American songbook. With his brother, Robert, he's turned out hundreds of memorable songs, for stage, screen, and even theme parks. "A Spoonful of Sugar," "It's a Small World After All," and the one you just heard, "Supercalifragilisticexpialidocious," are just three examples of why the Sherman Brothers were presented with a National Medal of Arts in 2008. The Sherman Brothers have won two Academy Awards, both of them for Mary Poppins, one for Best Song, "Chim Chim Mer-ee," and the other for Best Musical Score. 2010 NEA Opera Honoree and legendary soprano Martina Arroyo talks about her career in opera, including working with such luminaries as Leonard Bernstein, Plácido Domingo, and Luciano Pavarotti. Famous for her interpretations of Verdi, Puccini and Strauss, Martina Arroyo is admired by fans of opera everywhere. Leading soprano at the Metropolitan Opera from 1965 to 1978, she's also performed at major Opera Houses around the world. She's made over 50 recordings of major operas with conductors such as Leonard Bernstein, Zubin Mehta, and James Levine. She was also a guest on the Tonight Show with Johnny Carson over twenty times and made appearances on the television show, The Odd Couple. Since her retirement from the stage, Martina Arroyo has become an established teacher of Opera and singing at leading universities and conservatories. She was a member of the National Council on the Arts and served as an opera panelist for the NEA. In 2003, she established the Martina Arroyo Foundation which prepares young singers in the interpretation of operatic roles. Given her career as an artist and as an educator, it's little wonder that she was named a recipient for the NEA's 2010 Opera Honors. Bassist Christian McBride talks about jazz. For a 38-year-old, Christian McBride has packed a lot into his career: He’s an acclaimed acoustic bass player who’s performed with most of the jazz greats including Sonny Rollins, Freddie Hubbard, and Herbie Hanncock as well as regularly with Chick Corea. McBride refuses to bound by genre… he has performed with many different artists like Sting, Kathleen Battle, and James Brown in a variety of styles: rhythm and blues, classical, soul, hip hop, pop and funk. He’s fronted The Christian McBride Band: his own jazz, fusion, and funk ensemble. And he now leads the jazz quintet, Inside Straight. Born and bred in Philadelphia, McBride credits that city for his musical roots. Youngblood co-directors Graeme Gillis and R.J. Tolan talk about a unique organization for up-and-coming playwrights. Worried that vibrant new voices were going unheard and unnurtured, and equally convinced that younger theater artists had their own particular needs, NYC Ensemble Studio Theater formed Youngblood. Now in its 18th year, Youngblood provides artistic guidance, peer support, regular feedback and a way for playwrights to see their work mounted on a stage in front of an audience. The co-directors of Youngblood are Graeme Gillis and R.J. Tolan. Designer, artist, computer scientist, author, and educator, John Maeda has been a leader in integrating art, design, technology and science. Born in 1966, Maeda studied software engineering at MIT and used his natural ability as an artist to design software and graphics that had an aesthetic appeal. After completing his master's degree at MIT, he studied art in Japan where he received a Ph.D in design. As computers became more sophisticated and the web made their technology more accessible, Maeda was perfectly positioned to influence computer-generated design. His work is often at the crossroads of art and technology, where he has consistently pushed their boundaries to explore how these disciplines shape each other. He is known for his innovative thinking; a belief that technology should be humanized, and that design in the digital age should be simple. Indeed, one of his books is titled, The laws of Simplicity. He is a pioneer in championing the creative economy in his insistence that a thriving 21 st century economy must find its leaders in artists and designers. Choreographer and author, Liz Lerman converses through dance on the stage and now the page. Liz Lerman is one of the revolutionaries of contemporary dance. She is founder and artistic director of the Liz Lerman Dance Exchange, an artist driven company that looks to break the boundaries between stage and audience; theater and community. For Lerman, Dance is a way to think and everyone can dance. Her subjects have ranged from pets to the death of her mother, to the origins of the universe. Her working process emphasizes intensive collaboration with dancers, communities, and thinkers from diverse disciplines. Liz Lerman is known for nurturing a multi-generational company of dancers whose ages span six decades and creating site-specific work at places as diverse as shipyards in New Hampshire and the Lincoln Memorial. Liz Lerman has been the recipient of numerous honors, including a 2002 MacArthur “Genius Grant,” while her company has received a number of notable awards for its pioneering work, including grants from the National Endowment for the Arts. In the first of a two-part interview, Liz shares many aspects of her thinking about culture and dance as well as milestones in her work, including her book Hiking the Horizontal. This is the second of a two-part interview with one of the great innovators of contemporary dance, Liz Lerman. For Lerman, dance is a way to think and anyone can dance. The Liz Lerman Dance Exchange is a multi-generational company of dancers whose ages span six decades. She is known for breaking down boundaries between stage and audience, and theater and community often by creating site-specific work in places like the Portsmouth shipyard in New Hampshire. In fact, Liz lerman believes that The Shipyard Project of the late 1990sis probably one of the projects that really opened up the world for her, but it opened up the world to her ideas. The purpose of the Shipyard Project was to explore the significance of the Portsmouth Naval Shipyard to the lives of people in Portsmouth. It is the country’s oldest naval base and had been downsized and at that time was slated to close. Throughout the two-year residency, current and retired shipyard workers, and local citizens told their stories to Lerman and her dancers. Tihs became the raw material from which Liz developed a commissioned dance piece. The project culminated in a three weeks of dance events performed by the Liz Lerman dancers and community members. They performed on boats and on bridges, and in the shipyard. The response from people in the community responded to The Shipyard Project was enormous. They were moved to see their own stories, their working lives, enacted by the dancers. David Seidler talks about his film, The King's Speech, and his own struggle with stuttering. The King's Speech is based on the true story of Britain's George VI, who suffered from a debilitating stammer and who as a second son never expected to become king. But the Crown is thrust upon him when his brother abdicates in 1936. The story of The King's Speech is one David Seidler grew up hearing, because he too suffered from a stammer. In fact, when David was a child he turned to the King's wartime speeches as sources of inspiration. The story of the King's struggle with his stammer stayed with him, even as he wrote other screenplays and TV movies. The film literally took a lifetime to make, but it was well worth the wait. In Seidler's knowing hands, the film retained the particularity of the physical and emotional effects of stammering and the variety of techniques employed to cure it. Yet it's universal theme is also apparent as we traced one man's struggle to find his own voice. Farmer and artist, Jay Salinas talks about Wormfarm, the inventive organization he co-founded where art, agriculture, community, and creativity blossom. Meet Morris Robinson, who was an All-American at The Citadel, started studying voice at the age of 30, and sings at the great opera houses throughout the country. Let's face it, we don't often think about opera singers as being former football players or former corporate salesman, but as we heard that is exactly the background of Morris Robinson. Morris might have taken an untraditional path to opera ; but it's fair to say he has very definitely arrived, singing with the Metropolitan Opera, Boston's Lyric Opera, Opera Pacific, the Philadelphia Opera and on and on. He's become a sought-after singer with his resounding bass and commanding presence, he claims the stage as his own. I had the opportunity to speak with Morris Robinson at the Phoenicia international Festival of the Voice where he sang the role of Il Commendatore in Don Giovanni. The National Endowment for the Arts is partnering with NICoE [The National Intrepid Center of Excellence] to investigate the impact that arts interventions may have on the psychological and cognitive health of these wounded veterans. Here, they offer a four week program for service members suffering from traumatic brain injury, PTSD and other psychological trauma. This state of the art facility on the Walter Reed campus provides an integrated approach to treatment in a holistic, patient-centered environment. Along with psychotherapy and physical therapy, the Healing Arts Program which consists of the visual arts , music, and writing, plays a central role in the assessment and treatment of these veterans. In fact, beginning this past January, NICoE has incorporated the NEA's writing program Operation Homecoming into therapeutic sessions with patients and their families. We're following the progress of the Healing Arts program in all our social media and in our magazine NEA Arts. Later in the summer, there's a special issue of NEA Arts focusing on arts and the military, and I'll be talking to the Operation Homecoming writing instructor, Ron Capps. Today, Melissa Walker is going to give us an overview of the Healing Arts program, focusing on its visual art component. As the program's designer and coordinator as well as its sole visual arts' therapist, Melissa is an enthusiastic and thoughtful guide to the role that art can play in healing. Moving fluently among drawing, painting, photography, and video, William Wegman is hard to categorize. A conceptual postmodernist artist with a funny bone, Wegman is probably best-known for the photographs and videos of his Weimaraners in unusual poses and in costumes that look like surreal sight-gags. Wegman's early video works, many of which star his dog, Man Ray, combine minimalist performance with low-tech video to create unlikely moments of absurdist comedy. Wegman and Man Ray caught hold in the popular imagination. In fact, The Village Voice named Man Ray 1982's "Man of the Year," which was fine with Wegman since he always thought of the dog as a collaborator anyway. But don't let Wegman's easy-going humor and sense of the absurd fool you. His list of accomplishments are legion. Always an innovator, William Wegman was one of the first artists to use video as an art form. Since the late 1970s, he has received international acclaim for his work in photography. Wegman exhibits in shows around the globe. 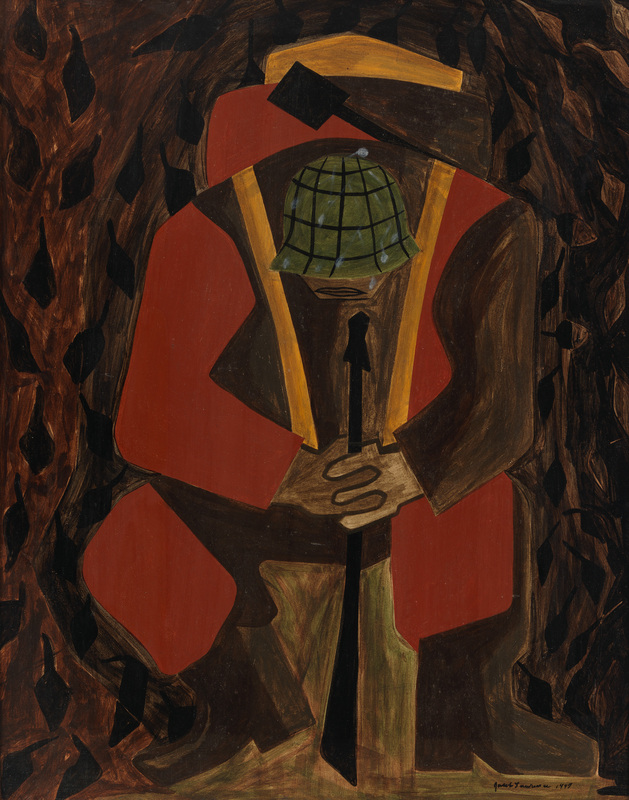 His work is in the permanent collections of many museums, including the Walker Center, Minneapolis, The Whitney Museum of American Art in NYC, the Smithsonian American Art Museum in Washington, DC, and the Australian National Gallery. His photos and videos have also been a great popular success, and have appeared on television programs like Sesame Street and Saturday Night Live. He's branched out to create a series of children's books based on fairy tales and a number of books on dogs. In 2006, the Brooklyn Museum explored 40 years of Wegman's work in all media in the aptly titled retrospective William Wegman: Funny/Strange. In a review of the show, the art critic for the New York Times said of Wegman: "Dogs or no dogs, Mr. Wegman is one of the most important artists to emerge from the heady experiments of the 1970s." Considered by many the most important African American leader of the early twentieth century, sociologist, historian, author, teacher, and activist W. E. B. Du Bois had a profound effect on the way we talk about race.